The latest Presidential Budget proposal to Congress includes the shutting down radio stations WWV and WWVH. A petition to get a response from the White House is not looking healthy as of today. Only 9,550 signatures have been attained of the 100,000 signatures needed by September 15, 2018. The JSC Amateur Radio Club, strongly urges all hams to sign an online petition to prevent the closure of the National Institute of Standards and Technology WWV and WWVH radio stations. These stations have provided radio hams and short wave listeners 100 years of on-the-air radio calibration transmissions on the HF bands. It is the legendary heartbeat of the radio waves in America and we need to seek Congress’ consideration to retain a budget to keep it going. 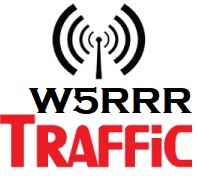 Please consider signing the simple online petition located on the W5RRR.org website and spread the word to your family and friends. Planning is still under development. This event will be a continuous 12 hour operation from 9:00AM Saturday to 9:00PM Sunday. October 1 denotes the “other” official NASA 60th anniversary event when the agency opened it doors to the world. The September 30 and Oct 1 Sunday and Monday dates will be featured operations at the W5RRR shack, to reach out on-the-air and disseminate this important milestone to the public. Belton is the premiere hamfest in the Gulf Coast region. Although its 3.5 hour one way trip to Belton, this is the event to make if you have stuff to sell, or are looking for good deals for treasures to bring back home. W5OC has reserved a private table, but is willing to allow members to sell their items on it as well. KG5HOK will be bringing some club items to sell at the tailgate. This is the largest Scouting event in the world with over 1.3 million Scouts participating across 150+ countries. Scouts and Guides across the world connect with each other during JOTA-JOTI using the airwaves and the internet. Tentative plans to make club EME contacts on 2m. Theme this year will be Halloween based and we’ll plan to have a booth with giveaway prizes and hopefully an active HF radio. A fun run is expect to follow, but details have not been confirmed. K5RG’s vintage Johnson Viking II transmitter has been repaired and is up and available for vintage ops at the shack. Please keep the grid current below 2.5 ma max at all times. Congratulations to John AB5SS and Andy W5ACM, who anchored down the Field Day satellite operations continuously throughout the Field Day effort. W5RRR was awarded 3rd place nationally with a score of 116 points, only 22 points away from 1st place, which was taken by K4BFT. The scores of W5RRR and the other top two finishers, significantly overtook all the rest of the field. The team launched a high-altitude balloon from the Wharton Regional Airport (SW of Houston). The balloon burst at 98,000 feet and, two hours after launch, the payload landed in a field 39 miles to the west. The chase/recovery team was lucky and actually was able to see it coming down and only had to walk about 400 feet from their vehicles. Information and pictures will be added soon to the W5RRR.org website. More info on the payloads can be found at http://w5acm.net/b50.html. Nominations close on September 10th, 2018 at 11:59pm CT.